Kusina Master is a 15-minute cooking show that features a step-by-step cooking guide and unfold excellent kitchen skills and unravel secrets to make cooking and food preparation effortless and fun. 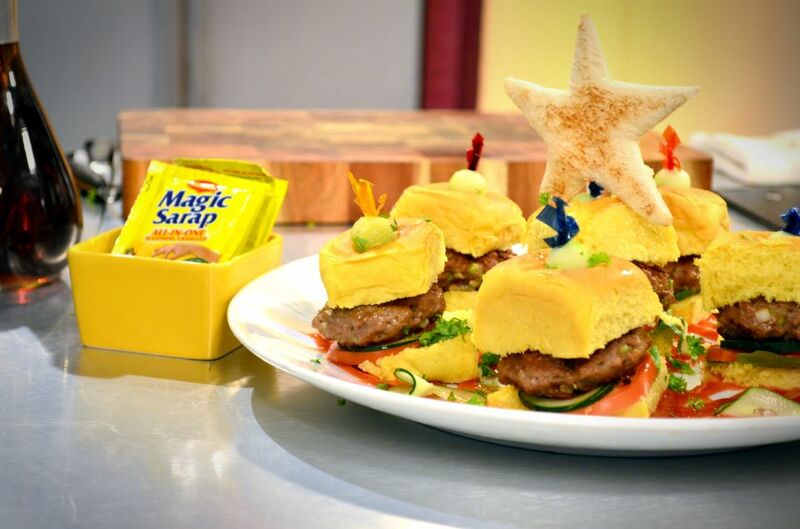 Chef boy realizes only too well that no kid could ever resist juicy, meaty hamburgers, so he grills up his patties to come up with Magic Kiddie Mini Burgers. How do you make your burgers truly flavorful? Well, according to our kitchen idol,make your patties 30% fat! Less healthy but tips over the scales in yumminess. 1. In a bowl, combine ingredients and mix well. 2. Form into small patties and drizzle each with olive oil. 3. Grill according to desired doneness. 4. Sandwich between mini burger buns and serve with cheese and choice of condiments. Makes 24 mini patties.